Looking for the Panacea: So...I got back from Europe to THIS. 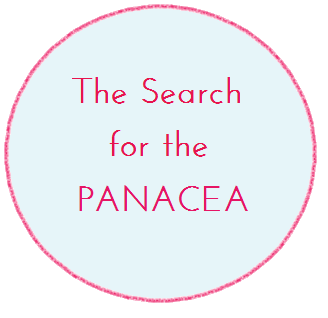 The Search for the Panacea is my version of a Stacking the Shelves meme. 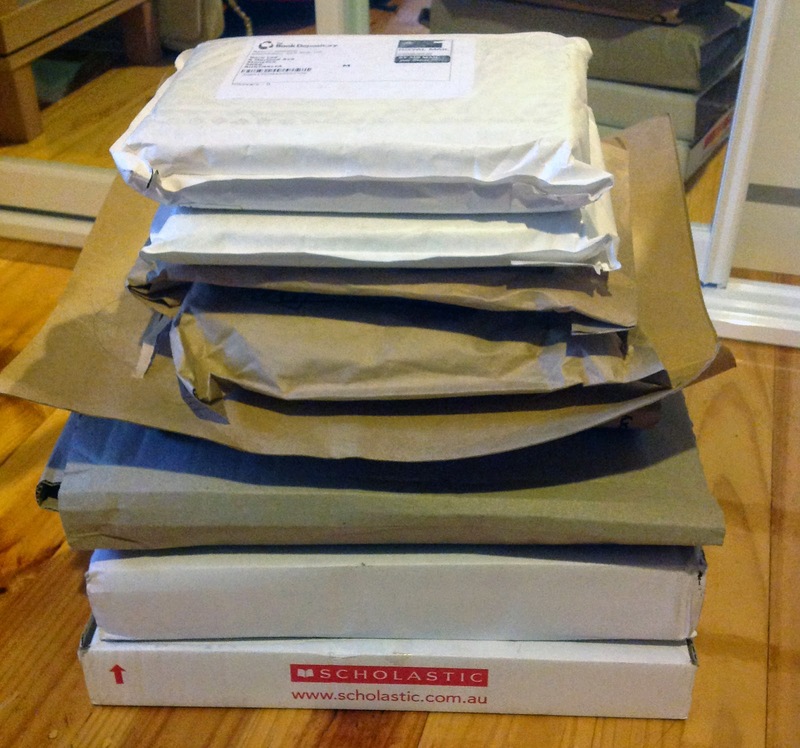 So, I got back from Europe to a crapload of packages! Not that I'm complaining haha. To be honest, it's probably not as many books as some of you guys would have gotten in that time lol. 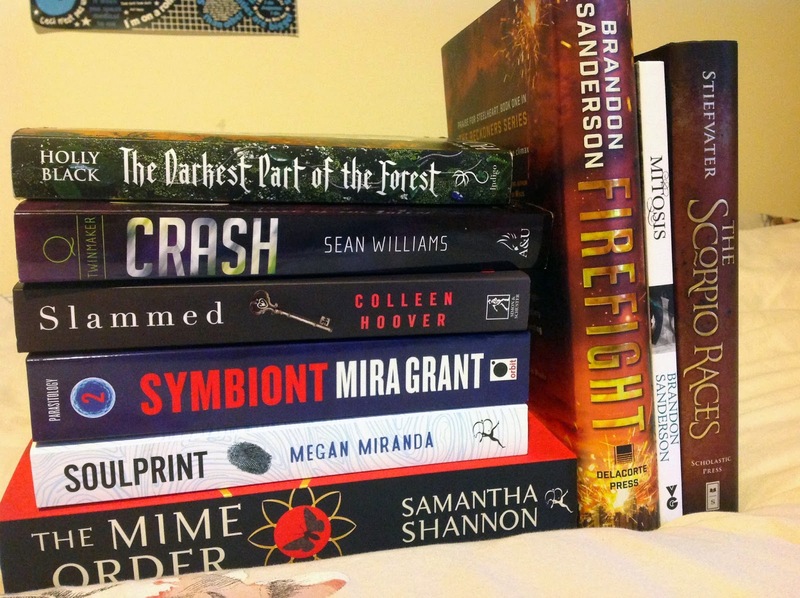 Crash by Sean Williams- Thanks to Kristy from Book Nerd Reviews! Symbiont by Mira Grant- Parasite is a favourite, so I had to preorder a copy of the sequel. Slammed by Colleen Hoover- I had to get myself a copy, since I absolutely love this book! It's a favourite of mine. Yep, Sanderson reduces me to a gushing mess. THEY'RE SO FREAKING GOOD. By the way, a post about my Europe trip is coming! I'm starting uni next week though (starting my hospital placements, gahhh actually looking after patients for the first time ever), so I'm not sure when the post will be up. I'll probably start getting a lot busier starting Monday. We'll see!